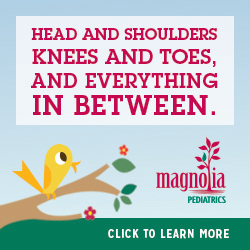 Originally founded as an academic preschool in 1965, Runnels is the oldest independent school in Baton Rouge. Now educating students in preschool through high school on two campuses, its comfortable facilities, park-like setting, and family atmosphere might make you wish you were in school again. 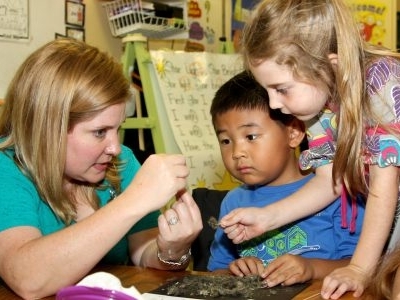 Runnels provides quality instruction in small class settings, allowing students to receive individual attention and allowing each student’s capabilities and characteristics to clearly shine through. The academic program encourages intellectual growth and curiosity as well as the exploration and expression of ideas. The curriculum is college preparatory with a wide range of elective offerings. In the 2016 school year, Runnels will implement a 1 to1 laptop program in grades 4-12. Students in preschool and lower primary grades will have access to classroom computers and computer labs. 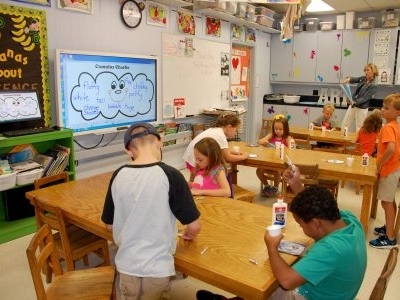 All academic classes are equipped with interactive boards for teaching and learning. Students choose from 120 credit courses, including a wide range of honors and Advanced Placement (AP) classes. 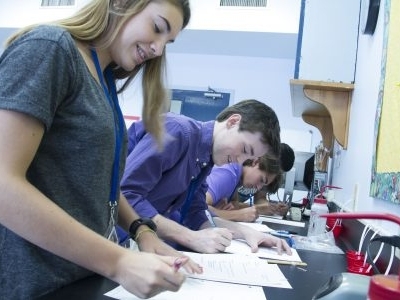 With one of the largest AP programs in Baton Rouge, Runnels traditionally offers 18-20 AP courses in multiple subjects each year. Historically, Runnels has been well represented in the College Board’s AP Scholar Awards Program. This year 27 Runnels students were recognized as AP Scholars. Class of 2015 Graduates: • Qualified for TOPS Scholarships (88% of the class received TOPS, and 38% earned the highest TOPS award); • Were accepted at 62 colleges and universities; • Received more than $3.5 million in scholarship awards (not including TOPS); • Earned an average composite ACT score of 25.9 (surpassing both state and national aver-ages). 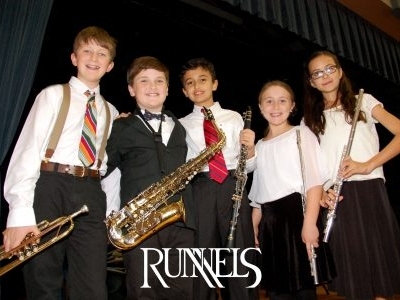 Arts education is also a cornerstone of the Runnels experience. The performing arts classroom building and 500-seat Gladys Hague Runnels Theatre support the school’s prominence as an arts center. Beginning and advanced courses are offered in band, strings, harp, piano, music theory, chorus, ballet, drama, technical theater, and play writing. The visual arts program provides classes in studio art, honors art, AP art, art history, painting, and media arts. 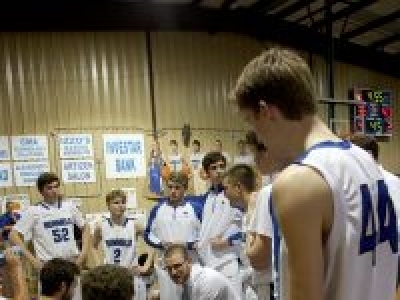 Runnels participates at the 2A level in interscholastic athletic competition. During the 2014-15 school year, boys’ basketball reached the state quarterfinals and baseball made it to the 2A state playoffs as the No. 2 seeded team. Students also won athletic scholarships in golf, soccer, baseball, and basketball. 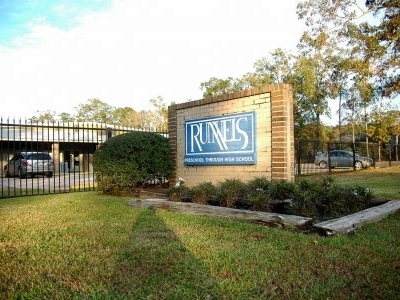 Perhaps the greatest benefit of a Runnels education is an intangible one -- the greater sense of self-worth that settles on Runnels students in a campus environment that is nurturing, caring, and tolerant.